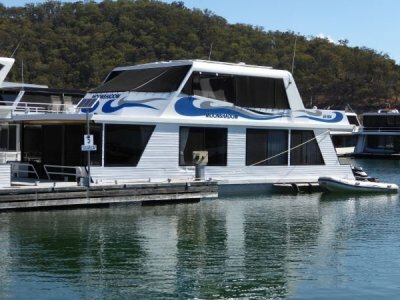 Take a leap & upgrade to a quality holiday home on the water of magical Lake Eildon. If you love beautiful Redgum woodwork you will love "Quantum Leap". The beautiful Redgum woodwork kitchen & parquetry polished wood floor throughout, gives you a real feeling of luxury. 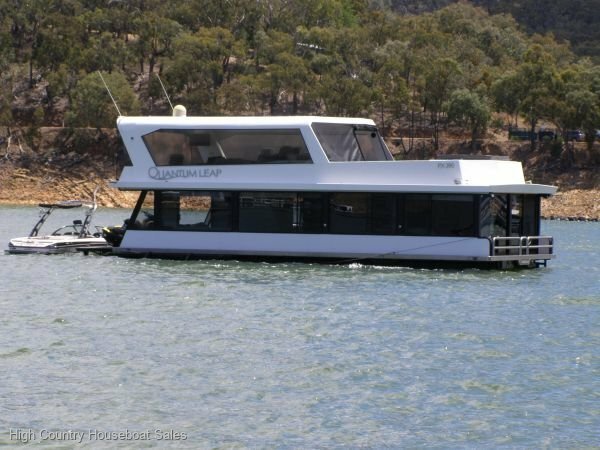 "Quantum Leap" has the open plan with side kitchen, internal stairs, rear lounge opening onto an expansive rear deck with hydraulic duckboard. Plus it has a great upstairs entertainment areas with hard top, spa bath, kitchenette, screens and quality outdoor furniture. Maintenance has been kept to a very high standard. This together with the high-end Solar Electrics (new Gel Batteries) means you arrive & relax. 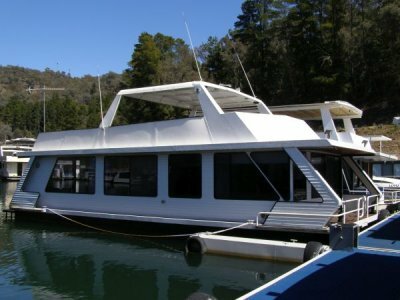 Take the leap and move up to "Quantum Leap" and start creating those special memories now at magical Lake Eildon. For More Detailed Information & Access To Extra Photos Please Go To "Email The Seller For More Information". BR1: Double walkaround front view bed; Wardrobe. BR2: 2 x single beds with extendable double bed bunk; Wardrobe, Sony CD Stacker; Sony X-Pod Amplifiers x 2. Kitchen: Pantry1; Sharp Carousel Convection Micro Wave Oven; Waeco electric Fridge/Freezer; Pantry2; Cupboard, Fuse Boxes; Cupboard, Foxtel capable, Ocean TV Satellite Receiver, VAST digital receiver, Sony Digital Audio/Video Control Centre; Pioneer DVD Player; TV antenna rotator; Sinergex 150watt P. S. E. Inverter; Radio; Speaker Sound System; Generator Remote Start; Electrolux 4 Burner Bench Cooktop; Drinking Water Filter System; New Westinghouse Oven, Grill. Kitchenette: Kelvinator Bar Fridge; White Ocean electric Bar Fridge; Ice Maker; Beefeater BBQ; Russel Hobbs Pizza Cooker; Sink & Storage. POWER: Westerbeke 7.5kva Generator; Hoppecke Gel Batteries x 6; Outback Inverter; Outback Flexmac Solar Charge Controller; Solar Panels x 12; Mercruiser V8 5.7 litre EFI; Motor Start Batteries x 2.